Canadian high-tech developers are coming up with interactive virtual spaces to help surgeons in their training. This technology would enable individuals to move around to view their bodies in a virtual reality platform. Dr. Keerit Tauh is already honing his surgical skills in a high-tech studio in Britain Columbia, Surrey. He is testing the application would possibly be used to train and prepare teams of surgeons to conduct a complicated operation. 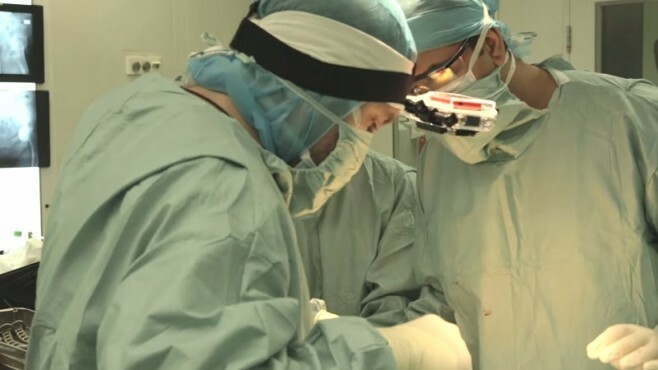 Tauh also holds a PlayStation Move controller that connects the real hands to the virtual reality hands version inside the operating theater. The technology works by tracking the hands while they move. It utilizes low latency that is the amount of time delay between what’s done with the controller and what’s seen via the headset. This implies that the real hands matches the speed as well as the position of the hands in space of virtual reality. Conquer Mobile started to design the technology back in 2013, and it is called PeriopSim VR. They partnered with technicians and researchers from Vancouver’s Emily Carr University of Art and Design as well as other local tech companies that include Sawmill and the Wavesince to create the innovation. Vroaming allows individuals to through the physical spaces as they get immersed into virtual reality. Developers confirm that motion of the full body is captured allowing people to that use this technology to view their bodies in virtual reality spaces. Because the tech is lighter, faster and wireless than the other virtual reality techs, the users get a complete experience that comes closer to recreating reality. The advances in technology now allow the people to utilize virtual reality headsets faster that users would not experience what’s referred to as motion sickness. VRCade has also built an equivalent untethered experience for the game of virtual reality. As at now, non-cabled VR headset that’s available to consumers is the GearVR. As the first tech, it has no built-in tracking system tracking. Its 3-Dimetntional chip is not powerful enough to drive PeriopSim. Most of the surgical simulations focuses on the physically created 3-Dimentional content, and the tech is reliant on the Machine Vision, which is the ability to scan the world and can capture 3D computer graphics prototype whole with geometry textures. PeriopSim utilizes video and 3-Dimetnional capturing tech.